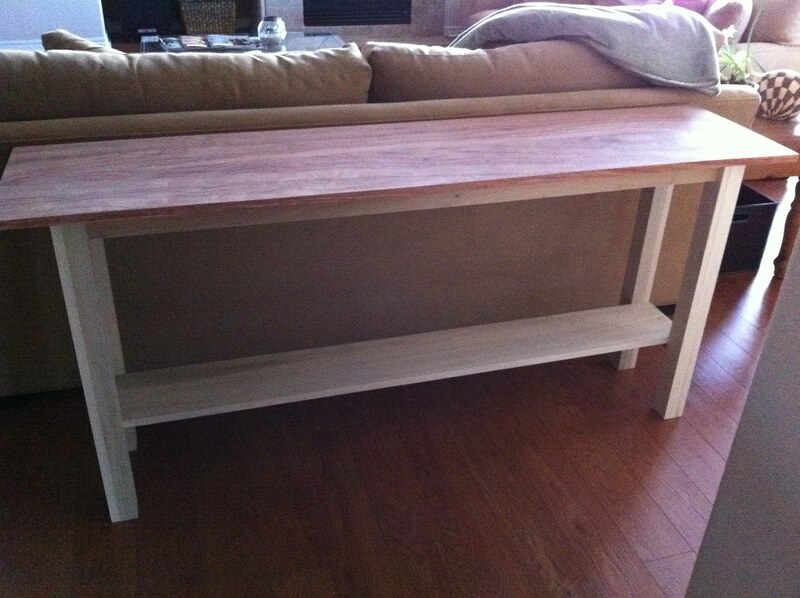 Built a console table to stand behind the sofa in our family room. The top is of bubinga and was created by joining two boards to create a top that is 15 1/2 inches wide and about 5 1/2 feet long. The base is fairly simple consisting of four straight legs, an apron around the top, and a small shelf near the bottom. The base is entirely out of poplar. 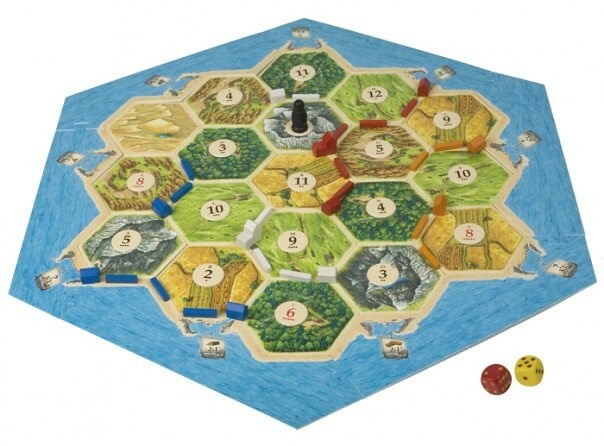 The legs were created from three 3×1 pieces glued and planed to create square legs 2 1/4″ on each side. The apron was attached to the legs via pocket screws as were the supports under the shelf. The shelf was then glued and nailed to the supports. Here’s a pic after assembly. I haven’t actually attached the top to the base yet, but just laid it on top to get a sense of the final “look” and to show it in it’s eventual spot. An incomplete and "unfinished" view of the table project. 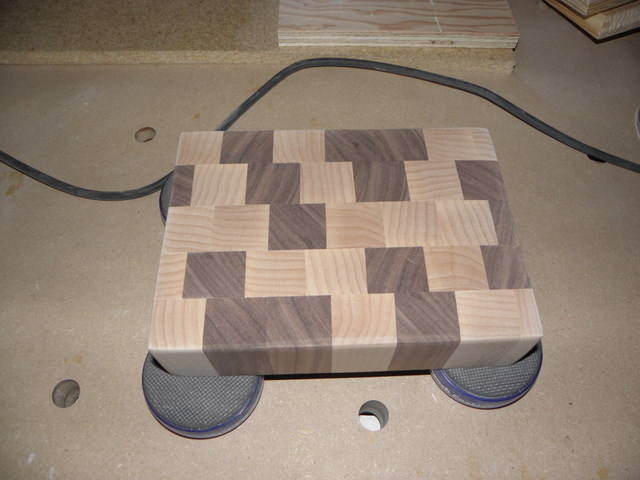 The top and base will have different finishes applied, so I don’t want to attach the two until after finishing. I haven’t decided how to attach the top yet, but I will probably just fix scrap blocks to the inside top of the apron and then screw through these into the top. Thanks for looking. I’ll post an update once Laura and I get the finish applied. Built my first wine rack. Modeled it after one I saw online. It has four “columns” where the first three hold 19 bottles and the last column is made to hold larger bottles and holds 17. So a full rack will hold 74 bottles. As you can see, it’s pretty empty, so I suspect it will take a long while til I get it filled up. My goal is to eventually build a second one and put the two of them into a small wine “cellar” in the basement. Of course, that’s a while off. I recently finished up a bench project that I had been working on and off for some time. 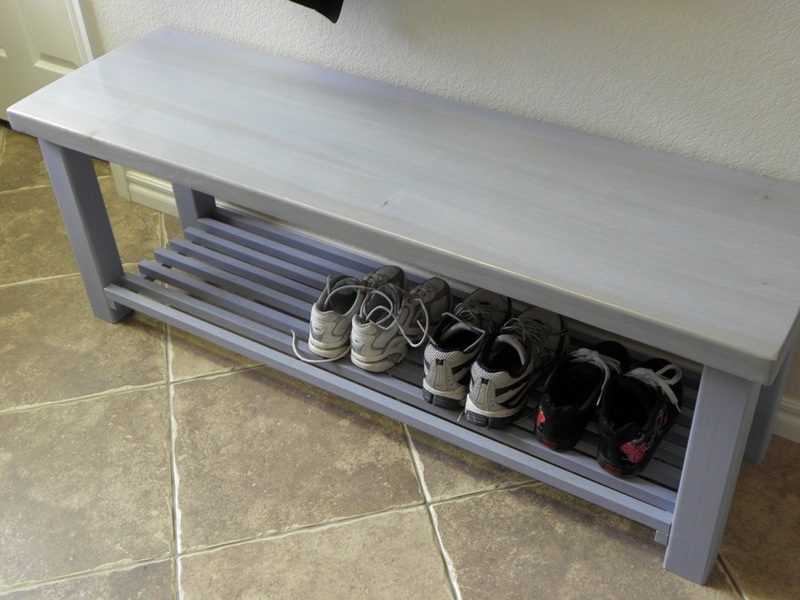 This was something Laura wanted for the “mud room” so you can sit down to take off your shoes when you come inside and it also provides a place for your shoes. The bench is going to sit over a air register, so I used slats for the shoe “rack” so they could dry in the winter time. 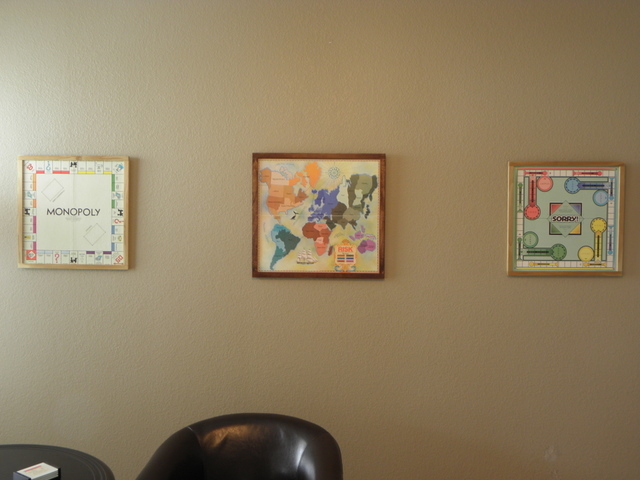 Laura wanted to hang some board games in the study and asked me to make a few frames. 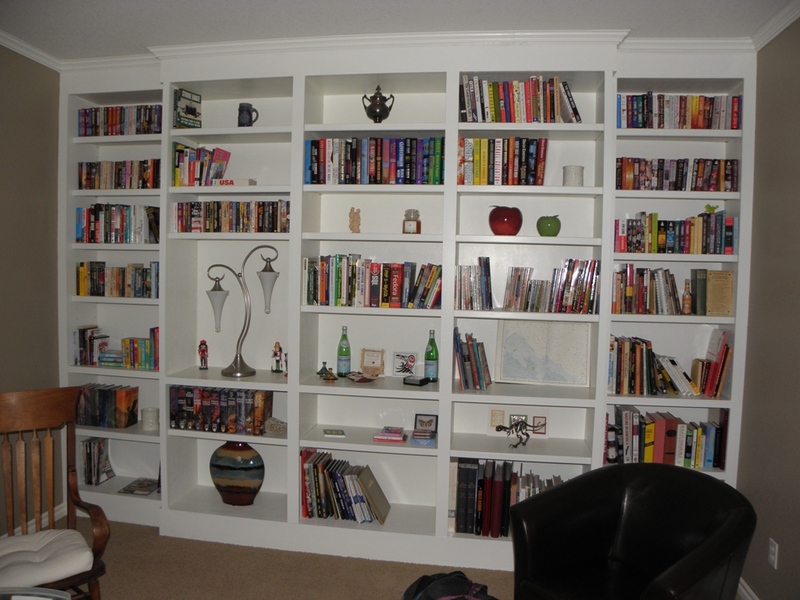 When we last left the bookcases, they were “mostly” done, but we were still hadn’t added the crown molding. We added the crown molding months ago, but I never took pictures of them to put up on the blog. 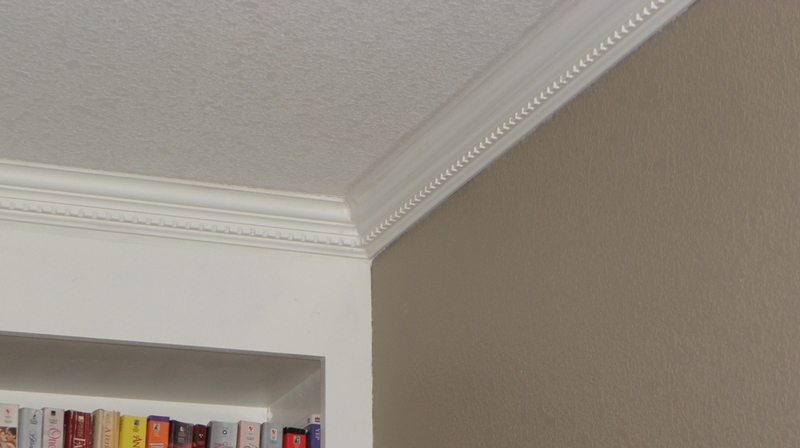 So without further ado, here is a close-up of the crown molding. We think the final result turned out great and we added a lot of additional storage to the study!